Join Norwegian Coastal Culture academy for a kayak adventure in the magical area where the mighty Sognefjord meets the Northern Sea. Here, along the coastline of Solund, you are at the westernmost point of Norway. 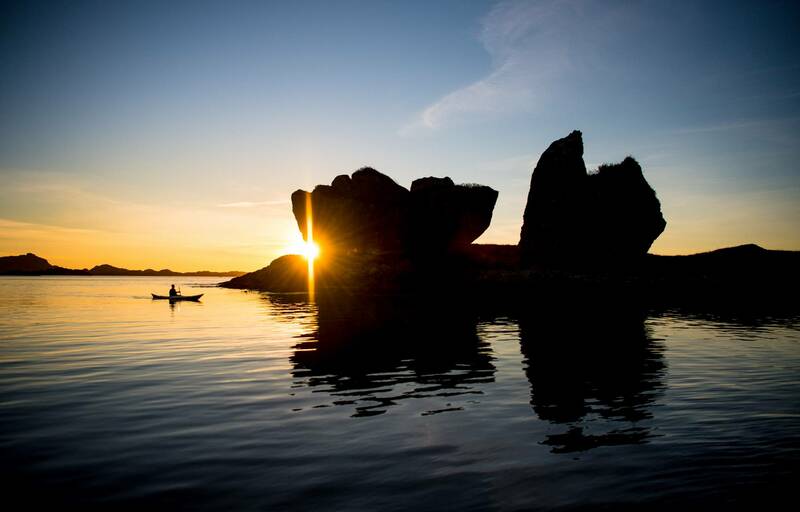 Explore the outstanding nature of this area from your kayak, and let our qualified guides lead you trough islets and skerries, and a unique and distinctive geology. Solund is a small municipality where it is easy to get in touch with the locals, and in between the kayak paddles we recommend a walk in the village of Hardbakke. The area offers many examples of both old and new coastal culture, that is typical for Norway. This trip suits for everyone. No require of previous kayak experience. The tour follow the tracks of hundred of fishermen and -women , who has always used the water as their main road, and takes you along islands and skerries, and past old sea houses and trading places. During the ride you will learn about local history, geology and wildlife. Bring snack and drinks. In general, dress for the weather, preferably wool or synthetic clothing that keeps you warm even if you get wet. Bring suitable footwear, or use our paddle shoes. On colder days, you are welcome to use a wetsuit(without charge).We use steady tandem kayaks. We start out from our seahouse in Hardbakke harbour. Our guide will help you managing the kayak and equipment if needed , before taking you out on the water showing you some typical examples of the rich coastal culture in the area. 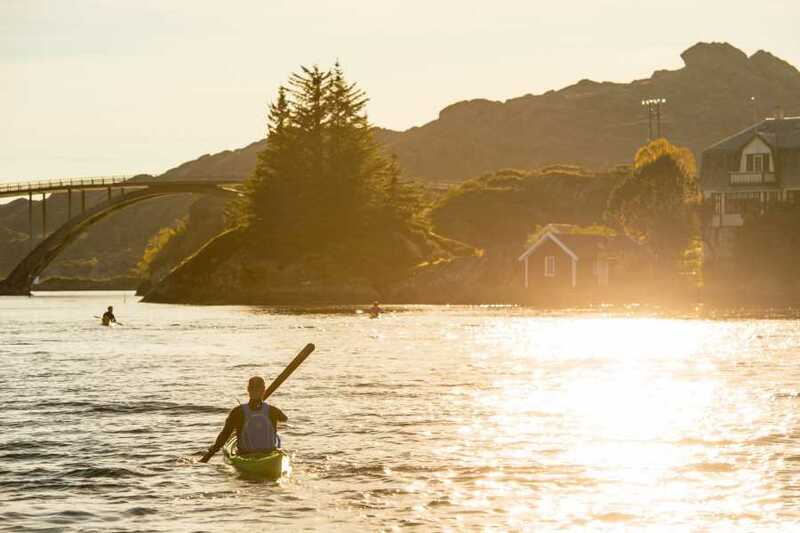 When you visit Solund a kayak tour is the best way to explore the landscape, following the tracks of thousands of fishermen and -woman who has always used the water as the main road. Explore the unspoiled nature and the outstanding geology in the meeting point between the great Sognefjorden and the North sea from a kayak.